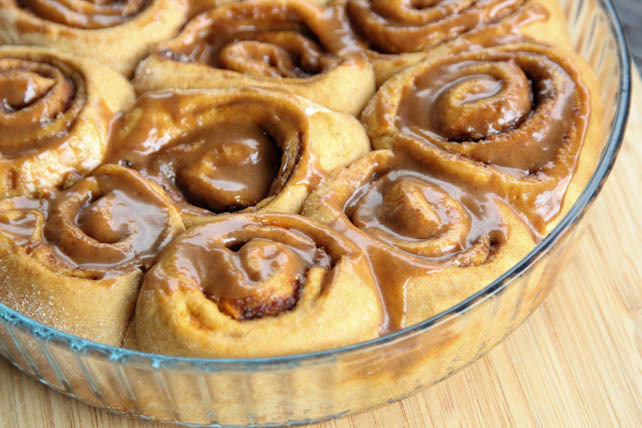 Pumpkin Cinnamon Rolls. 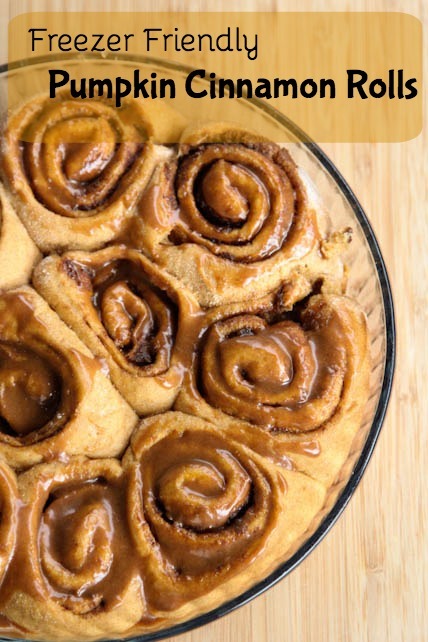 Double Pumpkin Cinnamon Rolls. But really, they are triple pumpkin cinnamon rolls. 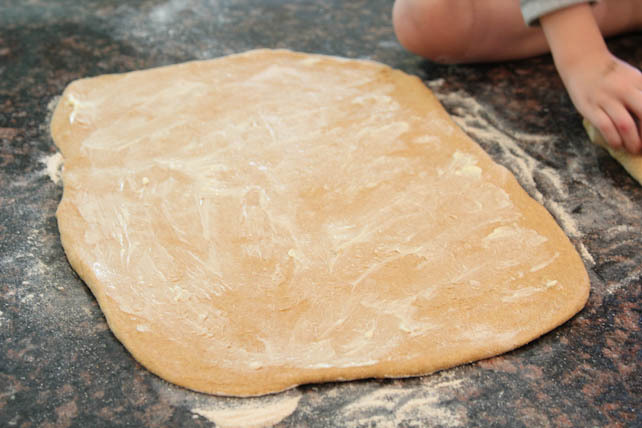 The dough is so soft. 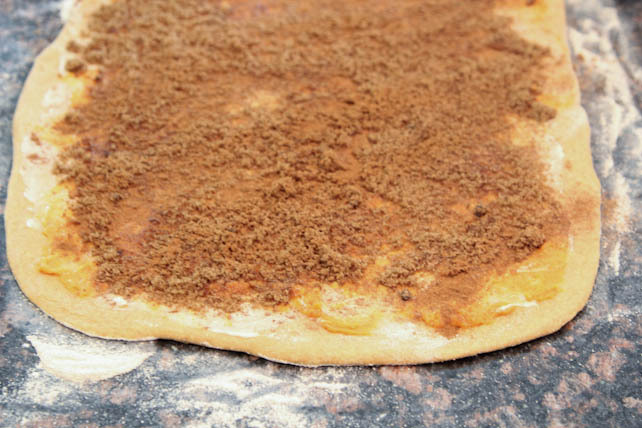 The pumpkin filling literally melts in your mouth with the dough…and the pumpkin spice icing. Dough cycle in the bread machine. 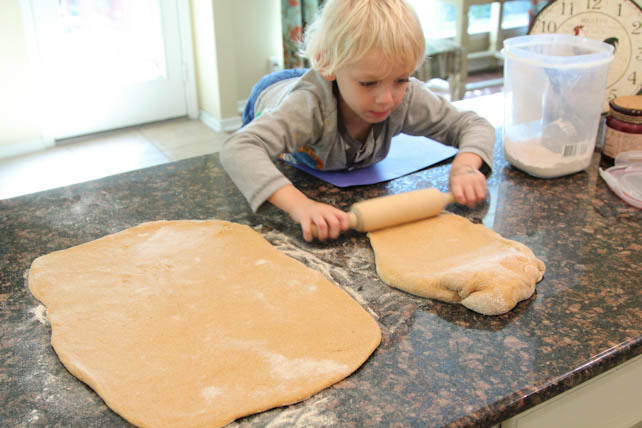 Tyler is an excellent sous chef…he’s always wanting to help me in the kitchen! Brown sugar. Don’t be shy. Homemade Pumpkin Pie Spice. Don’t be shy again. Place in baking dishes. Let rise an hour in a warm place. Pin all of our Freezer Recipes on Pinterest: Follow $5 Dinners’ board 31 Days of Freezer Cooking Recipes on Pinterest. 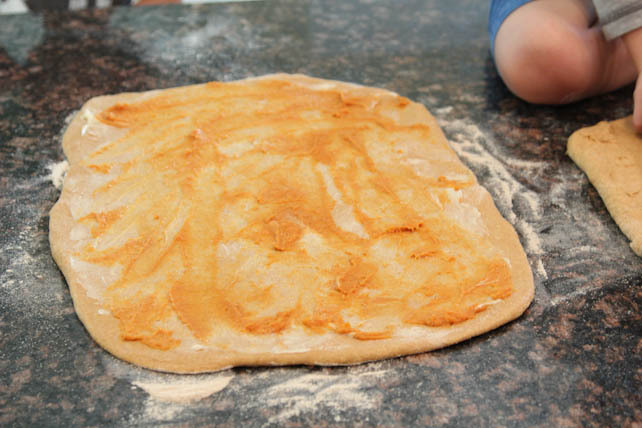 Once the dough cycle is complete, add the dough to a clean and floured countertop and turn the dough, kneading it until smooth. Divide into 2 balls and roll out into 2 rectangles. 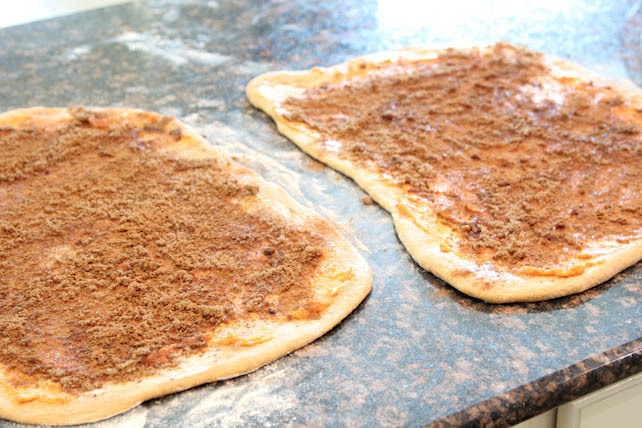 Spread thin layer of butter, then pumpkin puree, then brown sugar and spice mix. Roll tightly and then slice into 1″ inch wide rolls. 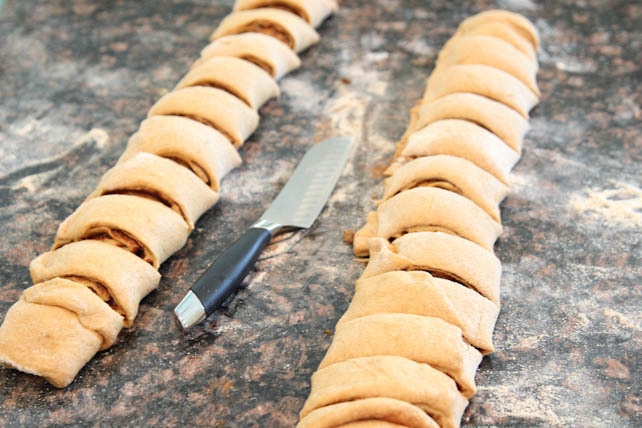 Place the rolls into greased baking dishes, leaving a little space between the rolls for them to expand and rise. Cover with dishtowel and let rise for an hour in a warm place in your kitchen. Preheat oven to 350. 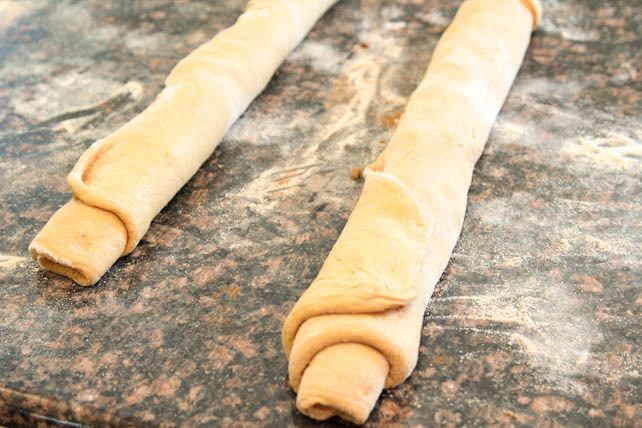 After the rolls have risen, bake for 16-20 minutes, or until middle rolls are cooked through. Prepare icing by mixing the powdered sugar with the spice mix, then gently stir in the pumpkin puree. Finally, add milk, 1/4 tsp at a time, mixing well until icing forms consistency you prefer. 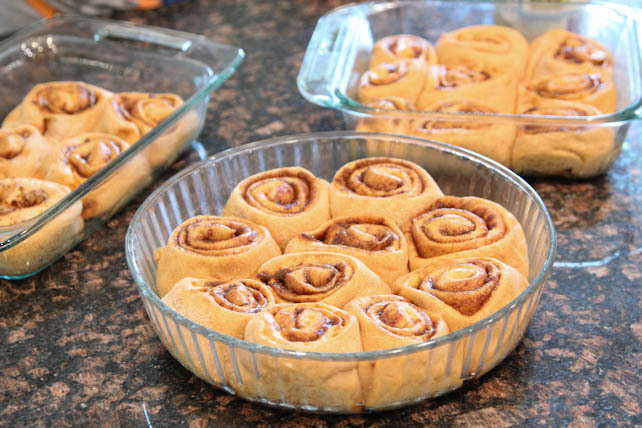 Add icing to the tops of the rolls and serve warm. *If you don’t have a bread machine, you can make the bread by hand. In a small bowl, add the milk, sugar and yeast and let it proof. In a large mixing bowl, add the beaten egg and pumpkin puree, salt and then pour in the milk-yeast mixture and gently combine. 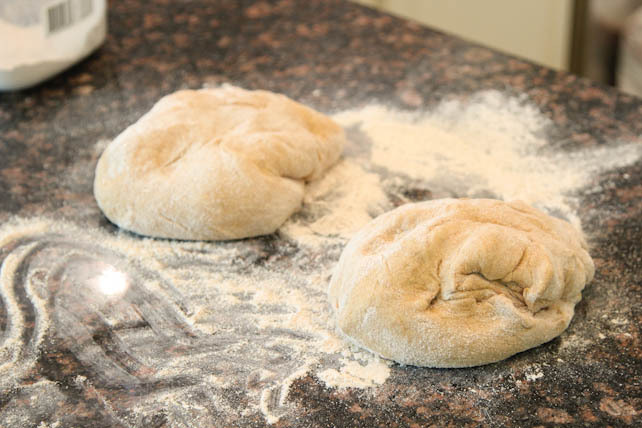 Add the flour, one cup at a time, stirring into a wet dough, then into more of a dry dough. Cover with dishtowel and let rise in warm place. 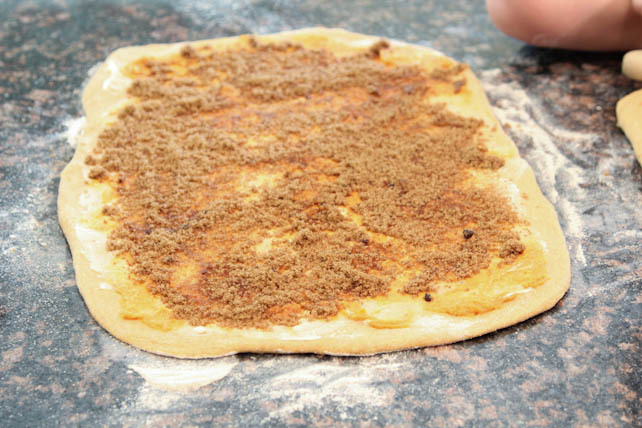 Once the dough is ready, complete directions listed above. 1. Make the rolls all the way through the entire cooking process and freeze any extras you save from hungry family members. Thaw in the fridge overnight, on the counter for a few hours, or in the microwave. 2. 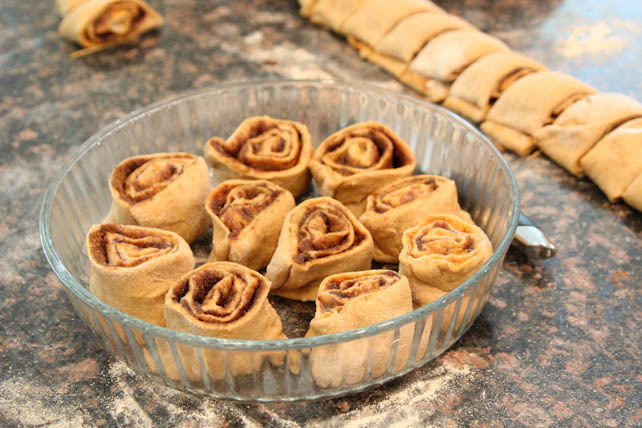 You can freeze the raw cinnamon rolls before the second rise (once they are assembled). Thaw in fridge overnight to let them slow rise, and then bake as directed above. TIP: If they are still cold and not rising after being overnight in the fridge, then you can place them in a warm environment once they are unfrozen and let them rise for an hour or so before baking. This recipe is featured on SouthernPlate.com’s Meal Plan Monday #32. These look and sound great Erin. How are these freezer friendly? Are you freezing them once they are baked, before? Thanks! I was wondering like Christine, when do you freeze these? I would love to make these and put them in the freezer for busy weekends. Agreed! When does the freezing happen? We’ve updated the recipe with freezer instructions at the end. Thanks! I do not have a bread machine. 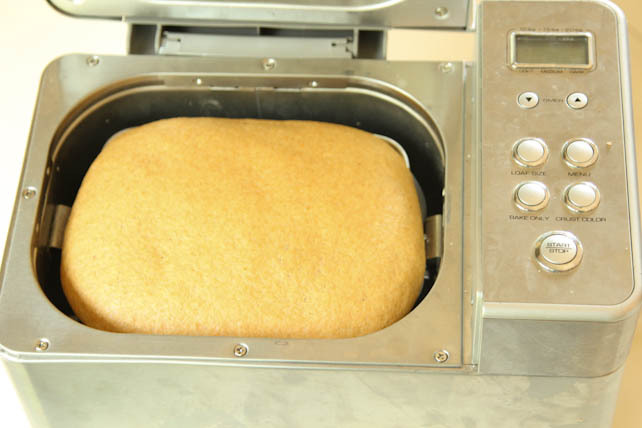 Is there a reason why there is butter in the bread machinr dough but not the mixed by hand dough? Has anyone used almond milk to make these? My daughter is lactose intolerant. Thank you!